Review: HelloKid teaches courses to K-12 as with most Chinese companies. The pay-rate is up to $14 per hour. They are mainly looking for native ESL teachers but will consider non-native as well. 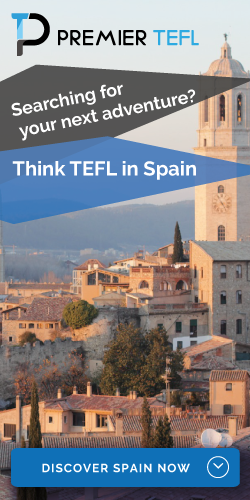 You should have a TEFL, TESOL, or CELTA certificate. K-12 teaching experience is preferred. HelloKid, developed by Hangzhou Feizhu Technology Co., Ltd, is a learning platform that provides students with instant access to fluent English speakers through one on one video chat. It is believed that the best way to enhance one’s language ability is to constantly practice speaking. In order to seamlessly connect students and tutors, HelloKid Tutor is specially designed for fluent English speakers who want to be English practice partners and teachers. Keep your skills sharp while earning extra money as an online English tutor with HelloKid. Choose to work flexibly with your PC that has stable, high-speed internet access. In case tutors need to cancel classes, please inform staffs in HKD at least 4 hours ahead, a deduction of 2 USD for each unexcused cancellation, and 3 USD will be deducted for unexcused cancellation within 4 hours. No deduction for excused cancellation. In case tutors need to ask for leave( no more than two days per month), please inform staff in HKD at least 24 hours ahead, otherwise there will be a deduction of 3 USD for each class. Tutors should also wait for the staff’s response to confirm the cancellation. If there is no reply to confirm the said cancellation, tutors must get in touch with the HKD Staff by any means necessary. Being late or finish classes earlier will be deducted 2 USD for each class, being late for more than ten minutes will be considered absent, 6USD will be deducted. This refers to the note provided every class by the Tutor which serves as a guide and a review for the student. The contents of the lesson review covers the lesson provided during the class. Tutors are given a specific format and are given 24 hours to complete their reviews. Reviews with a wrong format and or not completed within the given period will not be paid (No review, no pay). This refers to the grading paper that every tutor must provide at the end of an assessment class. The contents of the evaluation sheet are used as a rubric and a placement test for the students. All tutors must grade the students fairly and accurately based on their current knowledge of English. The evaluation sheet must be completed immediately following the assessment class (No review, no pay). In the event that our tutors were not able to meet the expectations and standards, your attitude and performance will be reviewed. Your supervisor may recommend the extension of your part-time period to a maximum of 2 month OR let the tutor go if she/he deems it necessary. In the event the tutor committed gross negligence and committed violations against the company; the employer has the authority to cause the forfeiture of the tutor’s final pay. Tutors are required to submit a letter of resignation AT LEAST SEVEN (7) DAYS prior to the official resignation date. Tutors with regular students who want to resign are required to submit a letter of resignation AT LEAST SEVEN (30) DAYS prior to the official resignation date.The last pay shall be withheld until such time as the tutor has completed all clearance procedures. If tutor fails to do that, there will be no payment for current month or the last month. Tutors who have passed the part-time period will be hired as Fixed-time tutors. A Tutor shall be given allowances whenever the management would deem fit, depending on his performance level as determined through a set of guidelines stated in this contract. The Tutor agrees that these allowances may be withdrawn anytime should the management determine that he/she is no longer entitled thereto after an evaluation conducted in accordance with the company guidelines found in this. The following policies are intended as guidelines only and are subject to change at the sole discretion of HKD. For pay purpose, tutors must give a 4-hour prior notice to HKD staffs in the event he/she intends to cancel. Cancellation of lessons will be limited to a reasonable number. Fixed working hours cannot be changed during the contract period. All classes outside the contract work hours will be considered overtime. The Tutor shall be given a weekly rest period of one (1) days after every six consecutive days of work days. The Tutor hereby binds himself to know and abide by the entire rule as stated in this contract, and further agrees to the imposition of the penalties should he violate any restrictions or rules stated herein. During classes, your families or friends cannot download anything or watch videos online, which will affect your network speed. Working address is tutor’s fixed address. If tutor wants to change his/her working place, Tutor needs 10 working days in advance to inform HKD by Email to coaches@hellokid.com. At least 3 days forward to do the Internet test. If tutor changes the working place with no permission from HKD, the tutor should bear the loss:$10 will be deducted for each class from his/her payment for instability of the network. If network problems happen more than 3 times within 7 working days, We reserve the rights to terminate your contract anytime. When the network modification made by your local ISP impacts your internet speed, HKD can terminate your contract immediately. In the event that Tutors cannot attend their booked slots, they should send a message by all means at least 4 hours before your shift. This is to give us time to check other Tutors who can substitute your classes that you have cancelled or provide lesson compensation to students. Tutors should also wait for the staff’s response to confirm the cancellation. If there is no reply to confirm the said cancellation, tutors must get in touch with the HKD Staff by any means necessary. In the event that you cannot attend to your classes due to physical illness, accidents or any emergencies, you should notify the HKD immediately. 7. Sickness that cannot be remedied with minimal medication, etc. *All pertinent documents (e.g. medical certificate, police blotter, etc.) must be submitted to the HKD staff on the day of the tutors return to work. If no documents are presented within 24 hours after the tutors return to work, the cancellation/s will be considered as unexcused. **Immediate family members are the following: father/mother, brother/sister, husband/wife, and son/daughter. 4. The tutor’s tardiness has resulted in student cancellation. 6. Picking up/dropping off someone at the airport/bus terminal, etc. 9. Failure to notify HKD staff 4 hours before cancellations. Tutor will be deducted $7 each slot, and a warning is given to the tutor. All data of unexcused cancellations are compiled into the Overall Tutor Rating. Tutor will be deducted $10 each slot, and a warning is given to the tutor. A Tutor is eligible to ask for a leave for important matters. 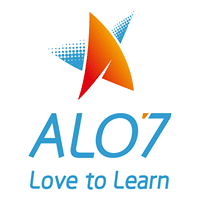 A Tutor is required to send a formal request for leave 7 days in advance. All requests should be sent to the HKD staff and HR Department. Filing for a leave less than 7 days will be considered all cancellations. The leave of absence filed by a Tutor will be deliberated by the management for approval. Fixed time tutors are entitled to 6 hours (12 slots) total leave monthly. The cancellation of the benchmark will be considered unexcused regardless the reason. HKD will follow the no work, no pay system. Make-up for unpaid leaves or offset will not be allowed. Tutors are also evaluated by students through comments. If a student gives a tutor a Negative Feedback, the management will be discussing the matter with both the student and the tutor. The management will then decide appropriate measures for the matter. Confirmed negative feedbacks related to Teaching Ability and Teaching attitude or Tutor’s Internet problem will be deducted $10 each time it happens. Warning letters of the following contents are to be issued to tutors if in the case that the tutor is unable to uphold the regulations on this contract. Tutors are not allowed to give their personal contact information (i.e. : email address, mobile phone number, social media accounts, etc) to their students, and it is also not allowed to ask students for their personal contact information. We will be logging in regularly to check if such information was passed along during the class sessions. Regular lessons will be conducted within 25 minutes, and assessment lessons will be conducted within 20 minutes. Tutors should try to finish all the exercises and make sure that students were able to understand lessons clearly within the time frame. They can cut the lesson if it is not finished yet within the given time just as long as the student experiences difficulty and needs further explanation or training on the same subject. Tutors are not allowed to teach outside lesson hours. Conducting lessons outside the fixed lesson hours set by HKD is prohibited and will not be remunerated for. Weekday classes will start at 6:00 PM / 7:00 PM to 9:00 PM depending on the shift the tutor has chosen Classes will start from 6:00 PM to 9:30 PM Saturday and Sunday. Slots will be opened by the management according to the shift assigned to you. You have the option to also open slots on your day off or special holidays. You can send in an official request to HKD’s email in regards to working overtime. Cancellation and absences policies will apply for these days as well. ABOUT PAYMENT & TRANSACTION FEE Monthly salary will be paid on 15th of every month through Paypal or bank transaction. The date may be postponed during the holidays. If choosing bank transaction, Turor should provide the mainland China bank account information (No transaction fee). If tutor needs an international transaction to transfer the salary to an overseas bank account, HKD will pay up to 20$ per transaction depending on the amount of the fee. Tutor should be responsible for paying the rest of the international transaction fee ( And there is also transaction fee of the receiving bank; Tutor should be responsible for the fee). – Every tutor’s salary is CONFIDENTIAL and talking about salary in the chat room, with a student, or with a colleague is not allowed. If a tutor refers another tutor for a fixed time that passes the part-time period, he/she will receive an incentive of 30 USD (Thirty). The initial term of the agreement is 12 months from the date he/she entered and shall terminate upon the expiration of the period without any need of written notice. The Tutor shall inform HKD in writing at least one month prior to the expiration period the current agreement should he/she desire to renew the contract. A tutor who becomes inactive for more than 2 weeks without any notification will be automatically considered as resigned effective immediately. The contract will be terminated and re-application will not be allowed. Tutors are required to submit a letter of resignation AT LEAST THIRTY (30) DAYS prior to the official resignation date. The last payment shall be withheld until such time as the tutor has completed all clearance procedures. A fee of 500 USD ($500) will be charged to the tutor’s last pay should the tutor fail to notify an employer in regards to resignation before 30 days. Non-renewal of the contract will be depended on but not limited to the following reasons: Low booking rate, too many Attitude and Ability related issues, frequent hardware and internet malfunctions, and constant filing out for leave. It is important that, regardless of the reasons behind a Tutor’s resignation, that the process is facilitated effectively and precisely that the Tutor is handled with respect. Failure to do this creates a negative and unprofessional image of the company. A Tutor should provide a resignation letter to the management thirty (30) days before the date of effective resignation. HKD must honor the agreement from date of resignation until the effective date unless otherwise stated in the agreement or unless otherwise agreed by both Company and Tutor. The notice of resignation must be in writing and hand signed with the date. When a Tutor resigns, the immediate supervisor should have a professional discussion as to the reasons for the resignation. The discussion will be put into writing by the staff and shall be forwarded to the HR for approval. HR is to close all HKD accounts after the calculation of the tutor’s final pay. All related information should be verified and deactivated before the release of the tutor’s final pay. calculation of final pay in coordination with the Accounting Department. The final salary payment will be paid to the tutor on the next official payday. We will inform our Tutors through email ahead of time.